In our view however, there must be something in the conduct observed by the officer, placed in the context of the rest of the circumstances, that lends some objective justification or verification to the officer's belief. 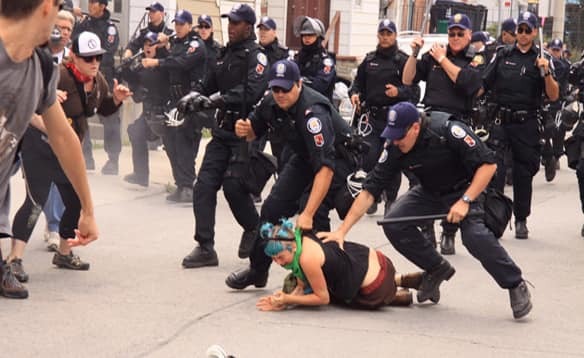 Section 495 of the Criminal Code and, more importantly, s. 9 of the Charter, demand that the belief be "reasonable," meaning that a reasonable person standing in the shoes of the police officer be able to see the grounds for the arrest. Without this objective component, the scope of the police power to arrest would be defined entirely by the police officer's perception of the relevant circumstances. The individual's constitutional right to be left alone by the state cannot depend exclusively on the officer's subjective perception of events regardless of how accurate that perception might be. The issue is not the correctness of the officer's belief, but the need to impose discernable objectively measurable limits on police powers. The arresting officer's partner, who was in a better position as passenger to see Brown's conduct, did not notice anything, suspicious or not. Even if he had witnessed the movements described, the partner testified he would not have arrested Brown based on them. Instead, he would have spoken to Brown or briefly detained him for investigative purposes. The arresting officer did not explain why the way Brown held his right hand was of some particular significance in the drug world. Without such an explanation, these actions "(did) not elevate the circumstances to reasonable and probable grounds to arrest." The evidence supporting the officer's contention that this took place in a high crime area was thin. The officers were assigned to patrol this area as part of an anti-violence intervention strategy. Criminal activity, including drug activity, had apparently increased, however "the area targeted by the police activity was broad and the concerns were not particularized to drug activity or the specific location where these events occurred," the court noted. "There was no evidence that the corner where the arrest occurred was considered to be a high drug activity area." Although the arresting officer honestly believed he had reasonable and probable grounds to arrest Brown, that belief wasn't objectively reasonable. The arrest was therefore unlawful and breached Brown's s.9 Charter right not to be arbitrarily detained. In R. v. Grant2 and R. v. Suberu3 the Supreme Court of Canada expanded on the concept of detention and established a framework to assist courts in determining when detention arises.4 Since these decisions were released in 2009, much has been written about the revised legal framework.5 Given the existing academic commentary on the issue, this paper will only briefly touch on the current law governing detention. This paper will focus on recent case law and assess how courts have understood and applied Grant and Suberu in making findings of detention. This logic, in addition to concerns about compelled self-incrimination and liberty, is likely what drove the majority to conclude that an individual's s. 10(b) right to counsel arises at the outset of any detention, investigative or otherwise. Generally you do not have to talk to the police. This applies to both those being investigated and witnesses. If the police ask you to give a statement or answer questions, you may refuse. You have the legal right to remain silent. 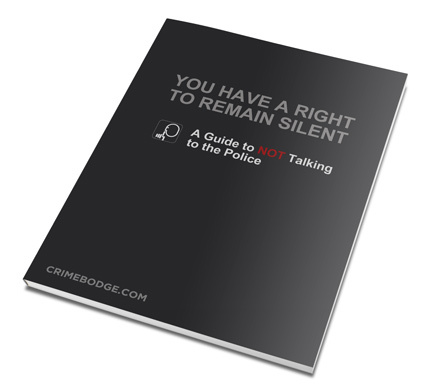 Your right not to speak to the police when questioned is part of your fundamental right to be free from self-incrimination; that is, to not provide the police with evidence that may be used against you. You have a duty to identify yourself by giving them your name, however, and in some circumstances, your birth date and address. If you refuse to identify yourself to the police, they can hold you in custody for the purposes of determining who you are. The scenario is common. The police might think that you know about an incident. The police may or may not be seeking to charge you. Or suppose you have already been charged, or are at the police station and about to be charged. You might think that you can avoid being charged by telling your story, or “talking your way out of it”. Remember: the role of the police in investigating crime is to charge people whom they have reasonable grounds to believe have committed a criminal offence. To lay a charge, a police officer must have grounds to believe they are justified in doing so. In most circumstances, if they have grounds, they will lay the charge. Thus, when a police officer asks for a statement from someone who has not been charged, it usually means they do not have grounds to lay the charge. Any statement may just provide those grounds. The police must tell you of your right to remain silent. The reason for the right to silence is to give you the opportunity to speak to a lawyer and then make a free and meaningful choice about whether to speak. After speaking with the lawyer, the police can continue to ask you anything they want without the presence of a lawyer. The general rule of thumb is to refrain from speaking with the police. The three situations below underscore your right to remain silent. Know Your Rights: Do you have to show ID to the police? 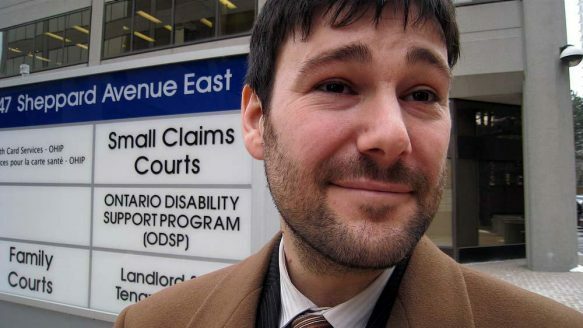 Lawyer, Davin Charney, gives an overview of the law in Canada. Produced for the Centre for Police Accountability (C4PA). 1. Form local community-controlled organizations that organize, educate and mobilize against police violence. In the past, we have neglected to organize local communities and equip them with the knowledge, skills, attitude and material resources to tackle police violence. 2. Develop "Know Your Rights" educational programmes so that the members of the community are aware of the full range of their rights and the information that they can legally withhold from the police. 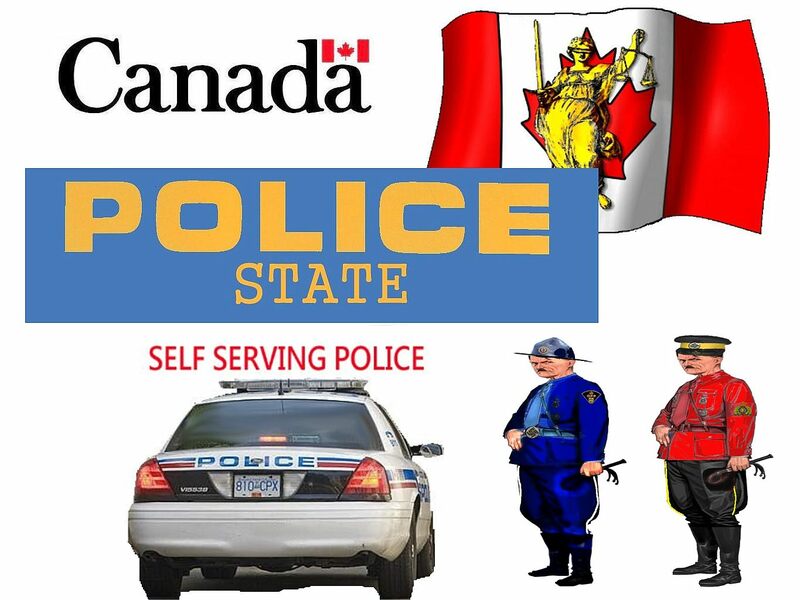 Often-times members of our communities consent to the search of their person and possession as well as give the police personal information out of ignorance of the dictates of the law. 3. Organize Copwatch programmes that visually record the interaction of the police with members of the community. The Black Panther Party was the originator of the practice of observing and recording the action of the police. We should acquire the audio-visual resources to document acts of police violence. The negative reaction of many cops to being filmed interacting with the public is an indication that they might have something to conceal from us. 4. Create smart phone applications that record acts of police violence. The New York Civil Liberties Union has created a "stop and frisk" phone application that films police action, alerts users to the location of an incident of police violence and generates a survey to document the details of the contact with the police. When dealing with the police, it is important to know what your rights are. This document will provide you with information about what you must do, what you do not have to do, and what you may wish to do in situations involving the police. This pamphlet contains general information only. It is not a substitute for legal advice and is not intended to replace legal advice from a qualified lawyer. Persons seeking legal advice or guidance with a particular problem should consult with a qualified lawyer. Do you have an interesting opinion to share? If you can express it clearly and persuasively in an op-ed article, you may reach millions of people, sway hearts, change minds and perhaps even reshape public policy. In the process, you may also earn recognition for yourself and your institution, all for less effort than it takes to write a professional journal article. Duke University’s Office of News and Communications (ONC) has a strong record of placing op-ed articles in many of the nation’s leading news outlets. It has developed these guidelines to help you write an article that newspapers, websites or others may accept for publication. ONC also offers a number of services to help faculty members, students and other members of the Duke community write and place their articles. Track the news and jump at opportunities. Timing is essential. When an issue is dominating the news — whether it’s a war, a stock market panic or just the latest controversy on a reality TV show — that’s what readers want to read and op-ed editors want to publish. Whenever possible, link your issue explicitly to something happening in the news. If you’re a researcher studying cancer, for instance, start off by discussing the celebrity who died yesterday. Or, look ahead to a holiday or anniversary a week from now that will provide a fresh news peg (and enable editors to plan the story in advance). Limit the article to 750 words. Shorter is even better. Some academic authors insist they need more room to explain their argument. Unfortunately, newspapers have limited space to offer, and editors generally won’t take the time to cut a long article down to size. Make a single point — well. You cannot solve all of the world’s problems in 750 words. Be satisfied with making a single point clearly and persuasively. If you cannot explain your message in a sentence or two, you’re trying to cover too much. Put your main point on top. You’re not writing for Science, The Quarterly Journal of Economics or other academic publications that typically wait until the final paragraphs to reveal their punchlines. Op-ed articles do the opposite. You have no more than 10 seconds to hook a busy reader, which means you shouldn’t “clear your throat” with a witticism or historical aside. Just get to the point and convince the reader that it’s worth his or her valuable time to continue. Tell readers why they should care. Put yourself in the place of the busy person looking at your article. At the end of every few paragraphs, ask out loud: “So what? Who cares?” You need to answer these questions. Will your suggestions help reduce readers’ taxes? Protect them from disease? Make their children happier? Explain why. Appeals to self-interest usually are more effective than abstract punditry. Offer specific recommendations. An op-ed is not a news story that simply describes a situation; it is your opinion about how to improve matters. Don’t be satisfied, as you might be in a classroom, with mere analysis. In an op-ed article you need to offer recommendations. How exactly should your state protect its environment, or the White House change its foreign policy or parents choose healthier foods for their children? You'll need to do more than call for “more research!” or suggest that opposing parties work out their differences. Showing is better than discussing. You may remember the Pentagon’s overpriced toilet seat that became a symbol of profligate federal spending. You probably don’t recall the total Pentagon budget for that year (or for that matter, for the current year). That’s because we humans remember colorful details better than dry facts. When writing an op-ed article, therefore, look for great examples that will bring your argument to life. Embrace your personal voice. The best of these examples will come from your own experience. Academics tend to avoid first-person exposition in professional journals, which rarely begin with phrases like “You won't believe what I found when I was working in my lab last month.” When it comes to op-eds, however, you should embrace your own voice whenever possible. If you are a physician, describe the plight of one of your patients, and then tell us how this made you feel personally. If you’ve worked with poor families, tell a story about one of them to help argue your point. In other words, come down from Mt. Olympus and share details that will reveal your humanity. In so doing, your words will ring truer and the reader will care more about what you are saying. If you are a student or someone else without a fancy degree or title, your personal voice becomes even more important. Play up your personal connection to the readers. Daily newspapers in many cities are struggling to survive. As they compete with national publications, television, blogs and others, they are playing up their local roots and coverage. Op-ed editors at these papers increasingly prefer authors who live locally or have other local connections. If you’re submitting an article to your local paper, this will work in your favor. If you’re submitting it in a city where you once lived or worked, be sure to mention this in your cover note and byline. Likewise, if you’re writing for a publication that serves a particular profession, ethnic group or other cohort, let them know how you connect personally to their audience. Use short sentences and paragraphs. Look at some op-ed articles and count the number of words per sentence. You’ll probably find the sentences to be quite short. You should use the same style, relying mainly on simple declarative sentences. Cut long paragraphs into two or more shorter ones. Avoid jargon. If a technical detail is not essential to your argument, don’t use it. When in doubt, leave it out. Simple language doesn’t mean simple thinking; it means you are being considerate of readers who lack your expertise and are sitting half-awake at their breakfast table or computer screen. Use the active voice. Don't write: “It is hoped that [or: One would hope that] the government will …” Instead, say “I hope the government will …” Active voice is nearly always better than passive voice. It’s easier to read, and it leaves no doubt about who is doing the hoping, recommending or other action. Avoid tedious rebuttals. If you’ve written your article in response to an earlier piece that made your blood boil, avoid the temptation to prepare a point-by-point rebuttal. It makes you look petty. It’s likely that readers didn’t see the earlier article and, if they did, they’ve probably forgotten it. So, just take a deep breath, mention the earlier article once and argue your own case. If you really need to rebut the article, forego an op-ed article and instead write a letter to the editor, which is more appropriate for this purpose. Make your ending a winner. As noted, you need a strong opening paragraph, or “lead,” to hook readers. When writing for the op-ed page, it’s also important to summarize your argument in a strong final paragraph. That’s because many casual readers scan the headline, skim the opening and then read the final paragraph and byline. In fact, one trick many columnists use is to conclude with a phrase or thought that appeared in the opening, thereby closing the circle. Relax and have fun. Many authors, particularly academics, approach an op-ed article as an exercise in solemnity. Frankly, they’d improve their chances if they’d lighten up, have some fun and entertain the reader a bit. Newspaper editors despair of weighty articles — known in the trade as “thumb suckers” — and delight in an academic writer who chooses examples from “Entertainment Tonight” as well as from Eminent Authorities. Don’t worry about the headline. The newspaper will write its own headline. You can suggest one, but don’t spend a lot of time worrying about it. Offer graphics. Until recently, newspaper op-ed pages rarely accepted graphics or photos to accompany op-ed article submissions. This tradition is now changing, especially as publications move online. If you have a terrific illustration, photo, video or other asset that might accompany your article, alert the editor when you send it. How to submit an article. Almost all newspapers and commentary sites now post guidelines about how they prefer to receive op-ed submissions. In general, they provide an e-mail address where you can submit the article electronically, but check first. Always be sure to include your contact information, and say whether you have a photo of yourself available. Where to submit the article. Here’s a wild guess: You’re hoping to publish your article in The New York Times, with The Washington Post and The Wall Street Journal as backups. Well, welcome to the club. These and other national publications such as USA Today receive a staggering number of submissions, the overwhelming majority of which are rejected. You have a better shot at regional newspapers and, especially, at papers serving your own community. Web sites such as “Slate” and “The Huffington Post” are also gaining in importance. Regardless of where you send it, you’ll probably fare best with arguments that are provocative, humorous, personal or unexpected. David Jarmul, Duke University’s associate vice president for news and communications, prepared these guidelines for Duke’s op-ed service, which has placed hundreds of articles in newspapers and other outlets across the country and abroad. He previously was the creator and director of a nationally syndicated op-ed article service at the National Academy of Sciences.
" 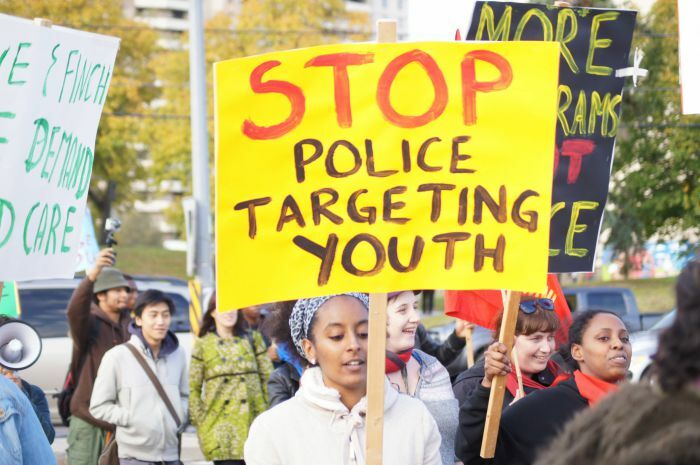 Mutaz Elmardy sues Police Constable Andrew Pak and his employer, the Toronto Police Services Board, for assault, battery unlawful arrest, and for violation of his rights under the Canadian Charter of Rights and Freedoms. Mr. Elmardy says that he was detained by Constable Pak for no reason apart from the colour of his skin. He says that Constable Pak punched him in the face and beat him. He was handcuffed and held outside on a cold winter’s night for 30 minutes without any legal basis. For the reasons that follow, I find that Mr. Elmardy has proven much of his case on a balance of probabilities. Constable Pak committed battery on Mr. Elmardy. Constable Pak violated Mr. Elmardy’s constitutional right to be secure from arbitrary detention. He violated Mr. Elmardy’s constitutional right to be secure from unreasonable search and seizure. He violated Mr. Elmardy’s rights under ss.10 (a) and (b) of the Charter that arose upon his detention. In all, Mr. Elmardy is entitled to damages to compensate him for his injuries and to deter similar incidents in future. He is also entitled to declarations that his rights were violated to make clear statements by the court vindicating Mr. Elmardy’s rights." " While I have found that Mr. Elmardy exaggerated his evidence and his efforts to prepare his case seemed quite goal-oriented from the outset, this case is not really about money. Mr. Elmardy cannot have expected a big payday from a couple of bruises. I accept his desire to show that he is equal under the law and that the law applies to him as a refugee permanent resident just as much as to anyone. I was moved by Mr. Elmardy’s expression that he came here to “feel the law.” Perhaps one has to experience corrupt government and lawlessness to consciously feel the well-being that comes merely from being present in a country in which the rule of law matters and all are equal before and under the law. That police officers shattered Mr. Elmardy’s feeling of the law strikes at the rule of law itself and requires condemnation by the court. Therefore, I turn to deal with punitive damages. For the intentional torts of battery and false arrest, in my view, a punitive damages award is appropriate to express the disapproval of the court at the deliberate and inappropriate conduct of Constable Pak. As for the Charter breaches, administering street justice is the opposite of a society based on laws. 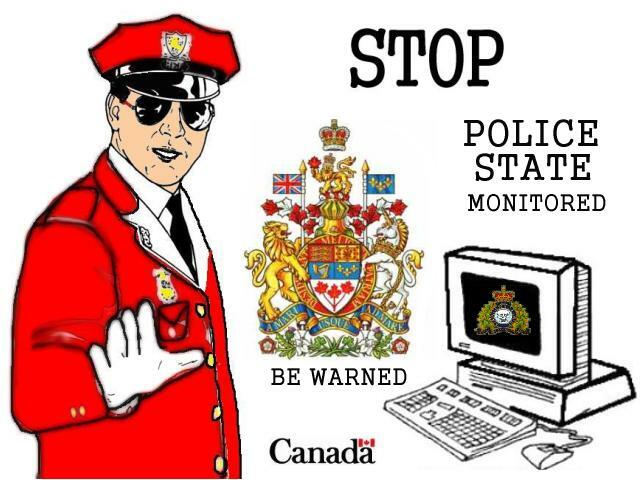 One who is not being investigated for criminality is allowed to walk down the street on a cold night with his or her hands in the pockets and to tell inquisitive police officers to get lost without being detained, searched, exposed to sub-zero temperatures, or assaulted. It appears that none of Constable Pak, Constable Poole, or the other four officers who dropped by the scene knew this. It is therefore important for TPS and Constable Pak to hear it from the court and to hear it in a manner that bespeaks the court’s disapproval and shock that such conduct might be considered acceptable in 2011. The manner in which the officers testified in 2015 was no less shocking. In view of the contumelious disregard shown by Constable Pak and TPS for the rights of Mr. Elmardy, in my view he is entitled to punitive damages equal to twice his aggregate award so as to triple his recovery. Therefore I award punitive damages of $18,000."